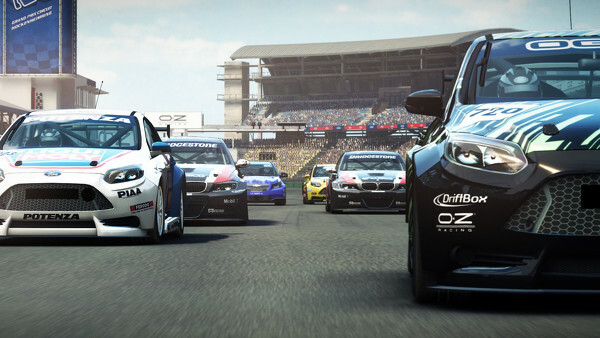 GRID Autosport promises to get back to its roots and give gaming fans an insight into the world of contemporary motorsport. With five widely differing disciplines and an online system that delivers new challenges every week, will Autosport turn out to be the jack of all trades but the master of none? The inclusion of such varied racing is most definitely a risk to take but Codemasters have a rich history of great racing games and with previous experience in the form of TOCA Race Driver, the F1 series, Colin McRae and the Dirt games and of course the previous two GRID titles, Autosport has a base that should see it succeed. And it does. Rather excellently actually. 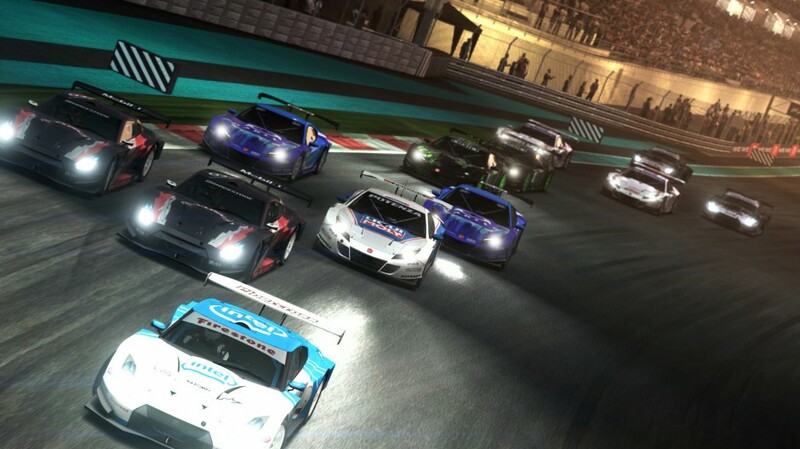 And let’s get one thing straight…..fans of the original GRID game on Xbox 360 will absolutely love GRID Autosport! 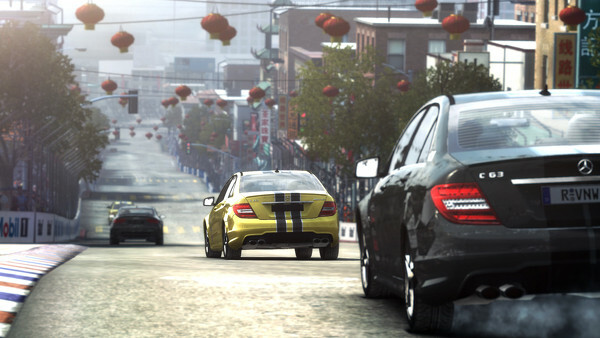 Codies have gone back to their roots and attempted to deliver a game that will excite any race fan, whilst at the same time be easy enough to pick up and play for even the most hardened critic and for the most part, they’ve hit all the right buttons. The main charm-bringer is the option to race across a variety of disciplines. Autosport caters for those primarily via a career system that is absolutely huge. Whether you like the precision of the Open Wheel events, the car control and drifting of the Tuners, reacting on the fly as you ping your way round the city in the Street cars, weighing up the pros and cons of the day and night Endurance races or feeling the full aggression of the pack in the Touring Cars, you’ll always get treated to a massive hit of intensity, depth and the type of excitement that only real-world racing gives you. As you would expect, the cars in each discipline vary widely with their own unique power curves, braking abilities and corner hugging skills and whilst you’ll find the vehicles in the Open Wheel events stick rigidly to the racing line and can be powered round the bends, go get yourself a seat in one of the street racers or the drift cars and you’ll find an entirely different experience….one that you would normally only see in completely different games. Think of all those previous games I’ve mentioned above and put them into one big package and you’ll get an idea of what Autosport actually is! With nine championships for each discipline you’ll find no end of single player races available and there should be enough here to keep you going for many a month, especially if you then throw in the GRID series that is unlocked once you’ve hit level 3 in all the different racing types. You may think that a huge career could get a little boring to navigate your way through but with 22 tracks giving out over 100 different routes, the content in the career option alone is massive. You will however need to take into account that whilst you could focus solely on one discipline, you’ll no doubt be looking to pick up points across the board and so the learning curve (and the change from car types), can be pretty big. It’s all good to be spending a few hours in an Open Wheel event but go from that straight into a Tuner and you’ll spend a good lap or two needing to learn how the car controls, the new braking points and basically a whole new game. Of course the usual driving assists; ABS, traction control and ever-helpful braking lines are all there if you so wish, but Autosport has gone back to its roots with high intensity racing and maybe that’s the way it should be played. You’ve always got a number of flashbacks to help you out in your times of need and with a superb full damage system that sees doors flying open, bumpers dragging along the floor and every little scrape show on the bodywork, you may just be needing them more often than you’d imagine! Throughout your career you’ll find yourself earning experience points by hitting the now common Codemasters staple objectives. Amongst many options, these require you to hit a certain speed, lead for a number of laps, beat a certain driver or the suchlike and every time you hit these objectives, experience points will be winging their way over to you. The objectives in previous games were a little too ‘in your face’ and so it’s nice to see these present but much less intrusive than before. If you hit them, then alls good but it’s not the end of the world if you don’t. Another huge part of the career is the fact that you are part of a team, with a teammate who needs all your care and attention…..and believe me when I say they NEED your attention. Not only will you have to run your own race, but with a quick press of the LB/RB buttons, you can pass info over to your team boss, in order to give your team mate the hurry up, or ask him to defend the position. Whilst it’s not at all necessary, it’s another nice little addition that brings a sense of comradeship to the game and without your intervention, you’ll no doubt be finding Driver No.2 hogging the back rows of the grid. Whilst we’re on the subject of nice but unnecessary inclusions, we best speak briefly on the tuning and upgrading of the cars. The options are there for a decent amount of car setup and if you wish to go that way, then you should be pleased with what you see, however you’ll find that you can also get away with giving the whole tuning and upgrade malarkey a miss if you prefer. It’s very much a case of each to their own and how in depth you want to go with Autosport. Away from the career and you’ll also find a cup option which gives you the chance to play the game exactly how you wish. You’ll be picking the discipline and which cars you want to race in, the number of races and the circuit you want to race round. It’s here that you get to see the tracks in all their glory without having to grind through the career and whilst the racing doesn’t get any less intense, it is a noticeable step back from the intensity of the career. It’s here that it doesn’t matter too much if you decide to sit back and take in the surroundings and I urge you now to set up a night race so you can sit back and take in the sights and sounds of the various circuits…..some of them just absolutely come alive at night! You’ll be visiting the likes of Brands Hatch, Hockenheim and Indianapolis as well as taking in the sights and sounds of some of the worlds most iconic cities; Washington, San Francisco and Barcelona among others and each of these have been replicated brilliantly. Everything above is complemented nicely by a field of AI drivers who, although lacking in the next gen Drivatar stakes, fight for every apex, choose decent lines and don’t suddenly brake test you at every single corner. And then we go online! For many this will be the place they visit for five minutes but actually stay for hours on end. I must say that at time of writing, the online servers haven’t yet been fully populated but from what I have seen and tested, the races are no less frantic than those found in the single player, with collision detection near spot-on, no sign of that hateful lag and corner cutting frowned upon with some strict but fair power penalties (which aren’t as harsh as those found in Forza 5 but still harsh enough to make you consider taking that ‘shortcut’!). Time will only tell how the online racing goes but first signs are very positive with the inclusion of the famous Codemasters Impact ratings showing you the aggression level of wannabee chargers, a party mode that gives the host all manner of choices including what could be a crazy demolition derby mode and the ability to switch the damage to full or visual only. If you don’t fancy going up against the world, then the inclusion of a splitscreen mode is a welcome one and something more games should get involved in. 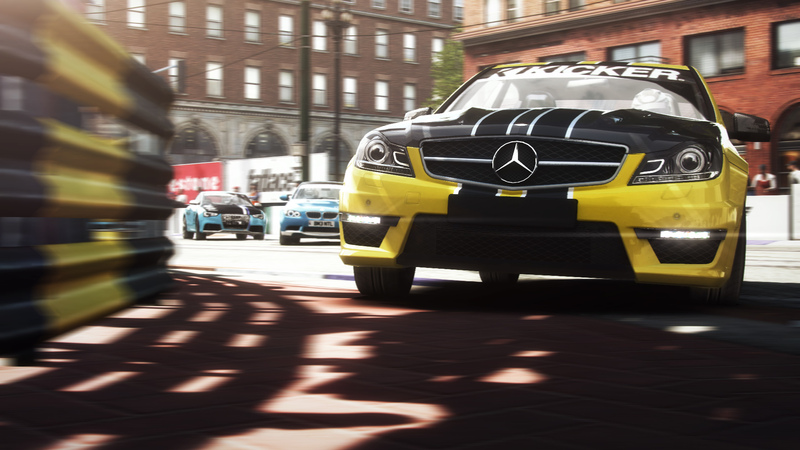 The addition of RaceNet gives another element of competitiveness to the online game and with a number of challenges across all the disciplines running for a week at a time, there will be plenty of opportunity to pit yourself up against your friends and those around the world when you are looking for something away from the main racing. Be warned though, the RaceNet challenges are very addictive and what starts off as a ten minute time killer can quickly see you taking in an hour or more. 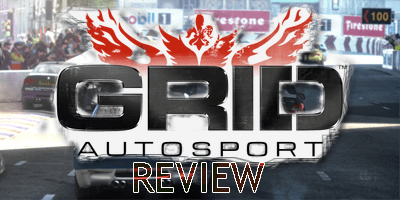 Overall GRID: Autosport does exactly what Codemasters wanted it to do; they’ve brought the excitement and intensity of real racing to the home console whilst making it a game both seasoned racers and newcomers alike will enjoy. From an entirely personal point of view the Street racing and Open Wheel events are my main port of calls whilst I could happily give the more tiresome Endurance racing a miss, but what works for one person may not hit all the spots for another. Similarly, the blurred mirror and cabin effect whilst racing in the cockpit view may at first thoughts be an easy way out of the developers needing to worry about replicating too much detail, or indeed showing what’s behind the racer but with the rest of the game looking and playing so damn good, I’m happy enough to ignore this little setback. It may not be a next gen game but this is without doubt the best racer you’ll be playing on the Xbox 360, pushing the other big hitter, the now aging Forza 4 down to the second step of the podium. This is Autosport. THIS IS RACING!